I took a look at the vendor list for this as soon as I heard they needed another delegate. Looking at the current line-up I got pretty excited, everything seems rather relevant to things I want to see! Looks like we’re going to see presentations from Gigamon, which specializes in the network tap and visibility market. I actually met with them back during NDF2 and it will be great to hear what they’ve been up to recently. IP Infusion is a white box networking company that I haven’t had the chance to look too deeply at, but I’m really interested to hear more about their solutions. As for TeloIP, they have been on my list of SD-WAN companies to look at. My current 9-5 is looking to build repeatability and redundancy into our current WAN solution. Last, but certainly not least, is VMware, which if you don’t know about their virtualization offerings you might be literally living in a cave. Seriously. I couldn’t ask for a better group of companies to hear from, I’m really excited to hear what’s new with each of them. Honestly, I wish we could get this kicked off tomorrow! 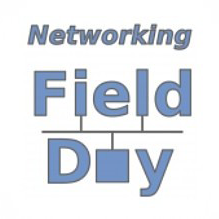 See you guys in Silicon Valley, Networking Field Day 15 is just 2.5 weeks away and counting! Remember, all Tech Field Day events are streamed live over the Internets to allow everyone to join into the conversation. We all also monitor Twitter rather closely so join in using the #NFD15 hashtag, so throw some questions at us and we’ll make sure your voice is heard! Also, please be sure to read my TFD Disclaimer if you have any other questions about the event.